All too often, organizations get serious about controlling access to their data only after they experience a data breach. But there’s no reason to wait. 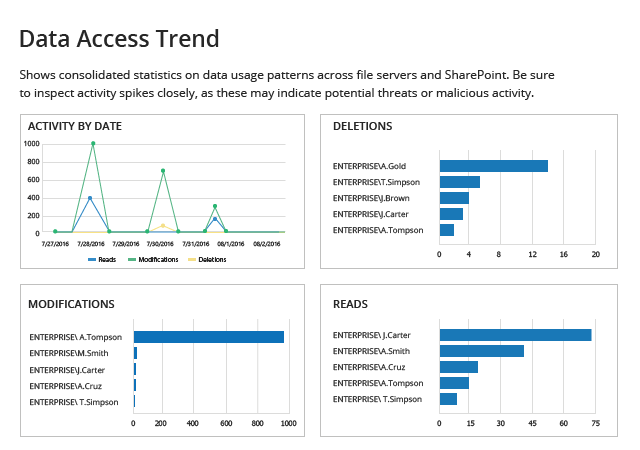 The Netwrix Auditor platform enables strong data access governance (DAG) across your file servers, as well as collaboration systems like SharePoint and SharePoint Online, by giving you deep insight into your unstructured data, including information about possible security gaps, effective permissions and data access patterns. 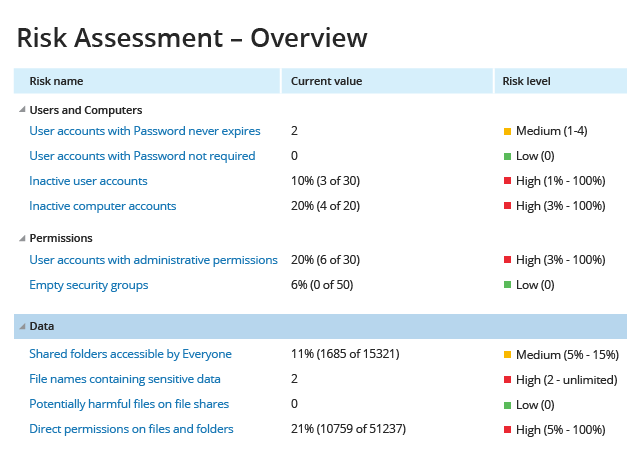 With Netwrix Auditor, you can ensure that you have all the proper access security controls in place to prevent breaches. accordance with the least-privilege principle and maintaining strict control over data access. Quickly detect all data on your file servers that is exposed to everyone or that has inappropriately assigned access rights. Understand where exactly your sensitive data is kept and how much of this data is stored outside of a secure dedicated location. This clarity will help you prioritize your data access governance efforts. Identify sensitive information that is accessible by groups of users that shouldn’t have access to it, for example, the “Everyone” group. 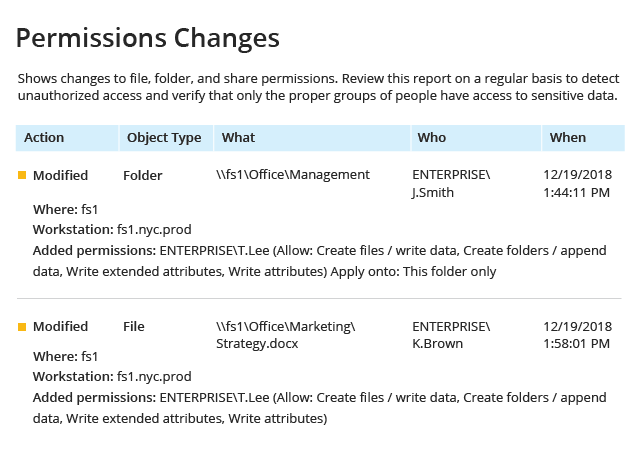 reviewing effective permissions and involving data owners to verify that those permissions are appropriate. 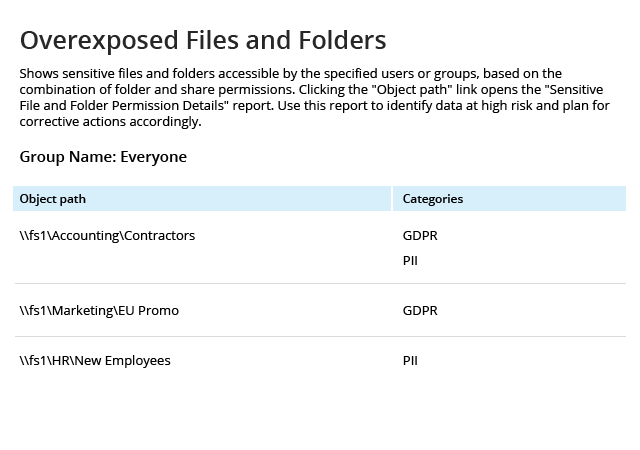 Regularly validate that all access rights to sensitive data on your file storages align with applicable data protection regulations, HR job descriptions and employee roles in the company and revoke all excessive or otherwise inappropriate access rights. Involve data owners in privilege attestation by subscribing them to the appropriate reports. 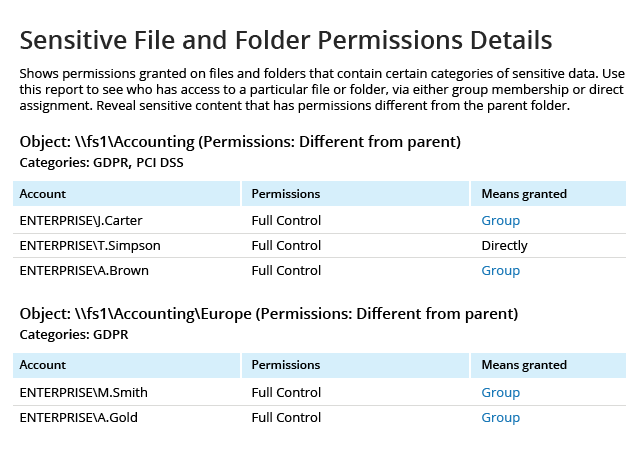 See through the tangled permissions layout on SharePoint and quickly find out users’ effective permissions to important data on your sites, how those permissions were granted and whether inheritance is broken, so you can ensure that corporate data is not touched by unauthorized personnel. 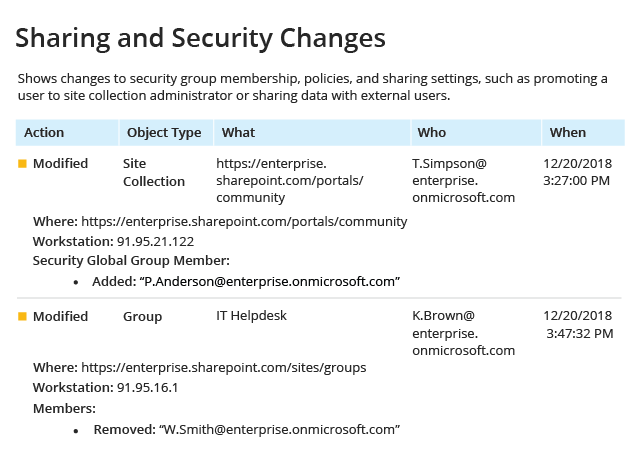 SharePoint Online, to ensure that each change is authorized and won’t jeopardize your data security efforts. Continuously monitor which access rights are modified, who made the change, and when and where it happened, so you can spot privilege escalation incidents across your file servers and respond before any damage is done. 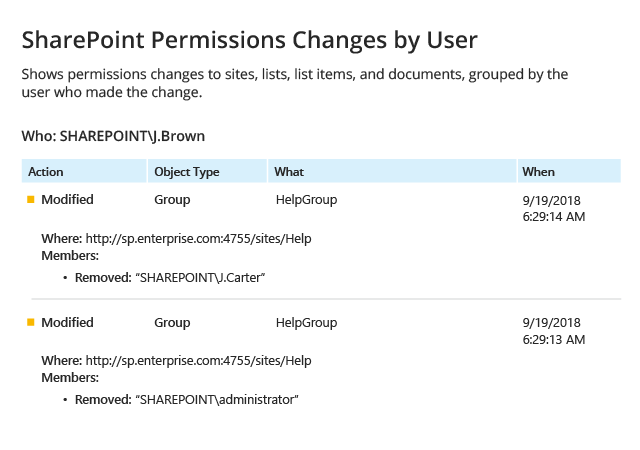 Ensure compliance with internal data access governance policies and external regulations by keeping an eye on all changes to SharePoint permissions, as they can result in leaks of sensitive and business-critical data stored on your sites. Don’t ignore the risk of data breaches and non-compliance when employing cloud solutions. 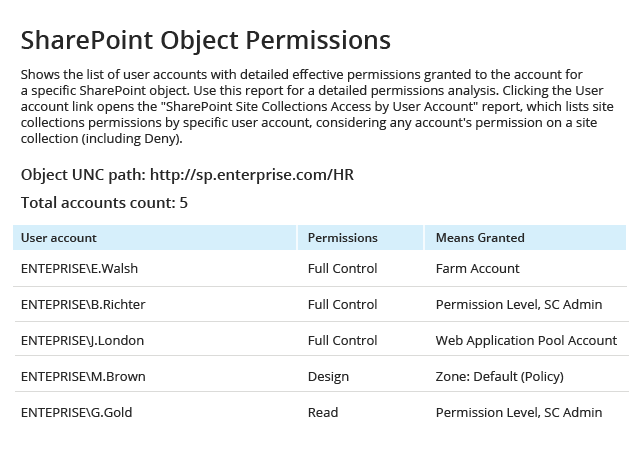 Ensure that all sharing and security changes with unstructured data stored in your SharePoint Online have proper authorization as required by your access governance processes. 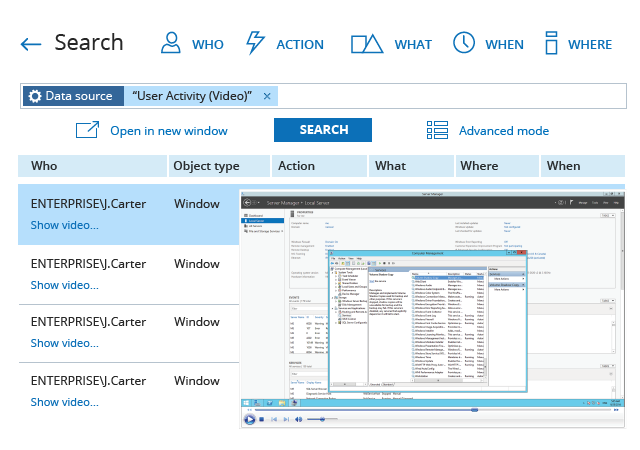 Get consolidated statistics about data usage patterns across your file servers, SharePoint and Office 365. Quickly spot activity spikes that could be a sign of malicious activity, and drill down to see the critical details. 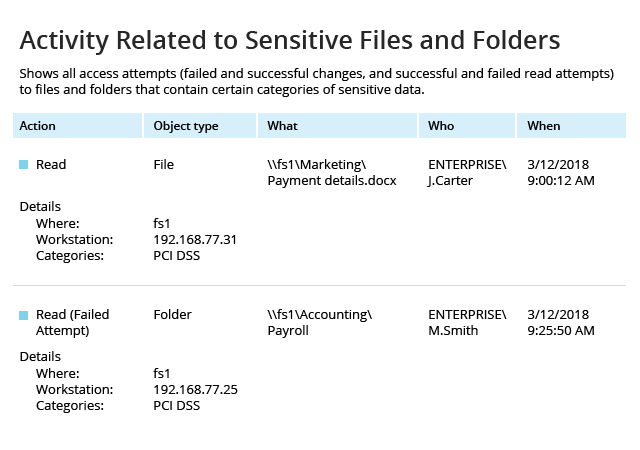 Know exactly who is trying to access sensitive files and folders on your file shares. Pay close attention to failed access events, which can indicate outside attackers or malicious insiders trying to lay their hands on your sensitive data. Keep privileged users and other users with broad data access rights under close surveillance. Use Netwrix Auditor’s video recording technology to gain complete visibility into how these users exercise their access rights across various IT systems and applications — even if their activity produces no logs. and strengthen data management practices? Find out how to identify both data owners and the primary users of data, and control the growth of unstructured data. 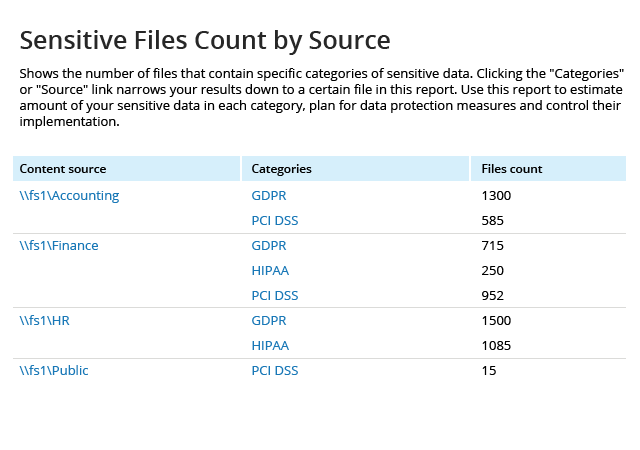 And explore how you can use the Data Discovery and Classification capability of Netwrix Auditor to improve data access governance, secure sensitive data and prove compliance.